The List Love adores a good science fact or 10 every once in a while, which is why we’re offering 10 mad facts about planet Mercury to blow your mind. Seriously, some of these facts are crazy! When it comes extreme temperature fluctuations, you can’t rival Mercury. The temperature throughout the day can often reach 840 degrees. 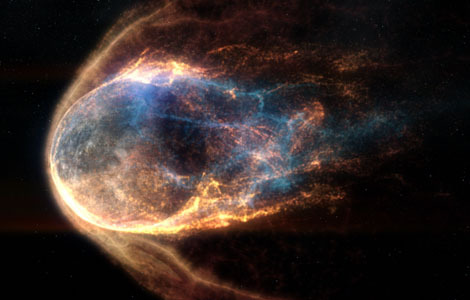 Despite the fact it’s the planet closest to the sun, its land surface can be extremely cold. As well as strange temperature fluctuations, Mercury has a rather eccentric orbit in comparison to other planets. 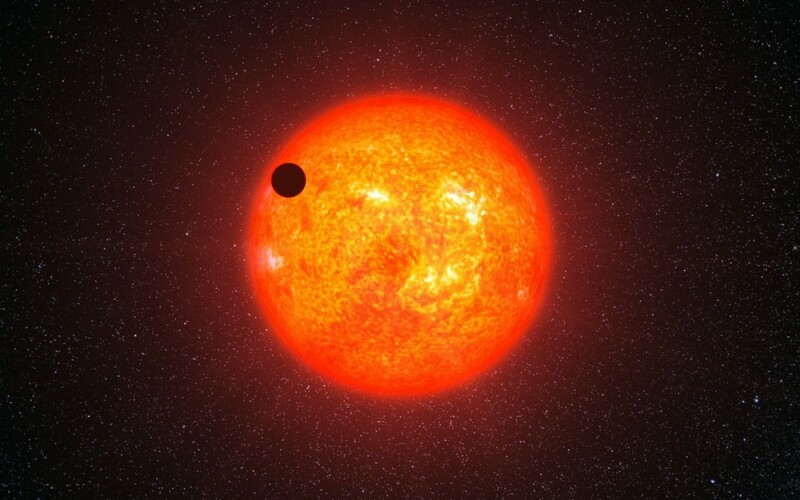 This combined with its close proximity to the sun helped prove Albert Einstein’s Theory of Relativity, which comments on how the light of a star can change when another planet or star orbits nearby. According to Encyclopaedia Britannica, scientists were able to confirm Einstein’s theory by the reflecting radar signals from Mercury. The Theory of Relativity states the path of signals would change a little if the sun was nearby, compared to when it was not in its path – and so this path matched the theory. We need to lie down after writing that! 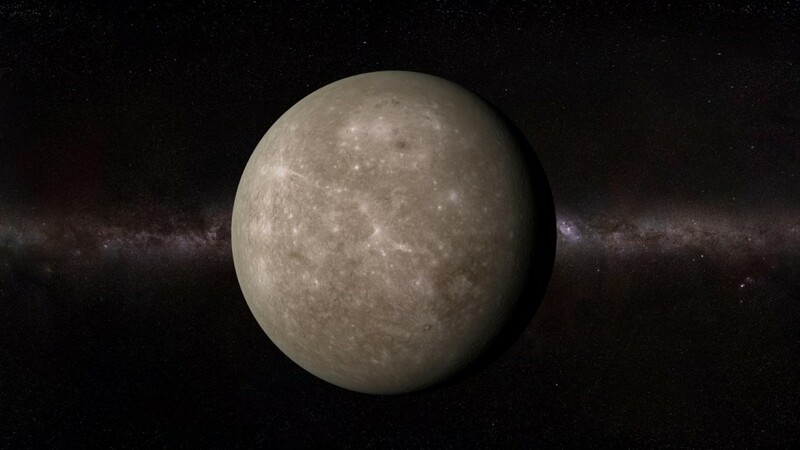 Mercury is a rather shy planet, as the planet often rises and sets when the sun does, making it very difficult for an amateur astronomer to sight the sun’s neighbour. 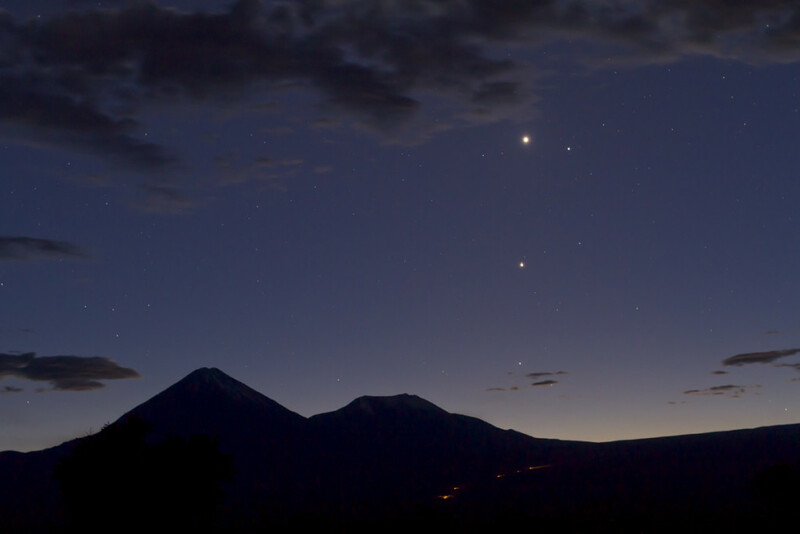 The planet has, however, been seen for thousands of years, as the ancients had darker skies than ours today, and so was linked to many gods in ancient cultures. Mercury most definitely likes to stand out in the universe – as it has no moons or rings, just like Venus – making it quite different from just about every other planet in our Solar System. 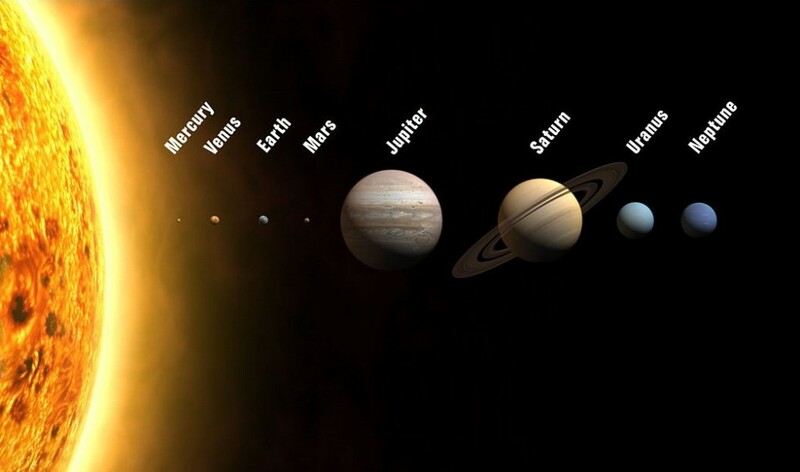 Pluto was once known as the smallest planet in our solar system, but it was downgraded to dwarf planet in 2006, and so Mercury claimed the title. 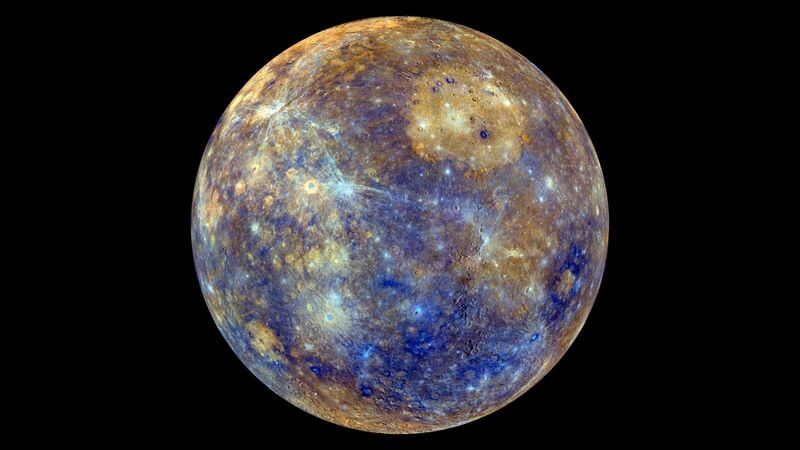 Mercury is a diminutive planet that is approximately 3,030 miles (4,876 kilometres) in diameter – and so is roughly the size of the United States of America, and is only a little larger than Earth’s moon. However, it might not hold the title for long, as scientists have recently stated Pluto could be promoted to a planet once again. However, Pluto might have some stiff competition, as Mercury is shrinking – and has already shrunk nine miles in diameter. Many scientists believe a giant asteroid hit Mercury approximately 4 billion years ago, which creates a giant crater about 960 miles across the planet. The crater is known as the Caloris Basin and could fit the whole state of Texas inside of it. 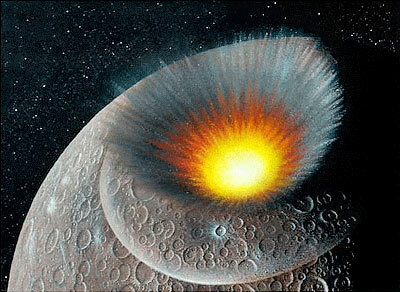 The asteroid would therefore have to have been about 60 miles wide to create the basin. Mercury is pretty impressive when you think about it. 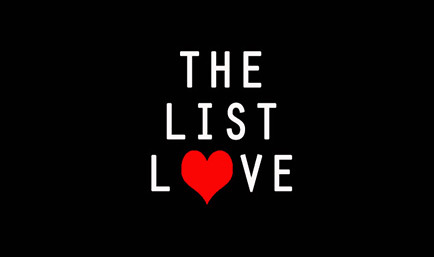 Not only has it survived a giant asteroid, has crazy temperatures and has no moons or rings, but it is also the fastest planet in the solar system, orbiting around the sun faster than any other planet at 112,000 mph in just 88 days. Remember before when we told you Mercury has some rather odd temperatures? That might be because it has ice inside its craters. The planet’s north and south poles are rather cold and shadowy, which could potentially create the right environment to retain water ice. 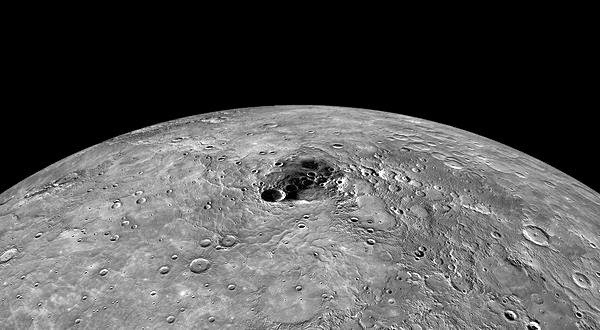 It is believed meteorites and comets may have delivered ice to those areas, or that water vapour from inside Mercury may have seeped out and frozen. Mercury has the thinnest atmosphere, in comparison to other planets in the solar system. In fact, it’s so thin that scientists don’t even call it an atmosphere; they call it an exosphere. 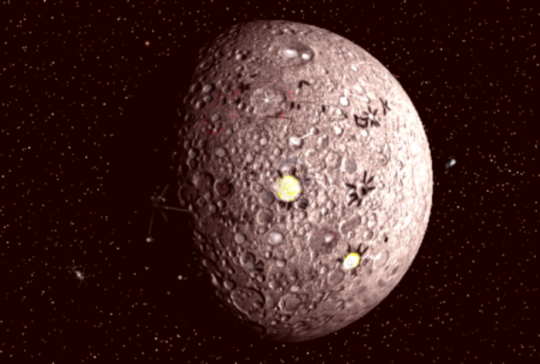 Moons and other solar system bodies also have exospheres. Mercury has tails, apparently. 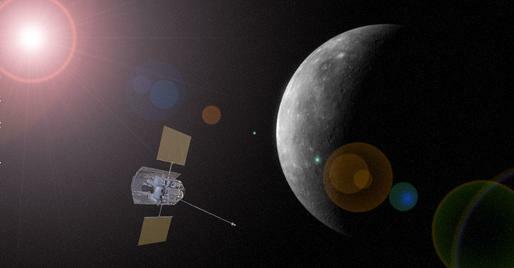 Scientists have discovered streams of particles sloughing off Mercury’s surface. While they question what exactly is responsible for the tails, they believe it could possibly be due to the sun’s magnetosphere and wind. You can read even more about our solar system by heading over to 10 Science Mysteries Yet to be Solved. Don’t miss out on our future science facts and more by following us on Facebook, Twitter and G+.